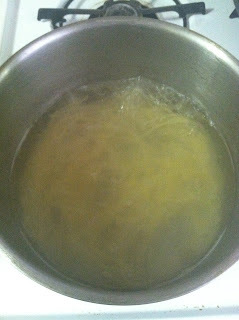 After visiting Porsena, I decided to cook up my own pasta, at least to see how it'll measure up against the gourmet pasta. 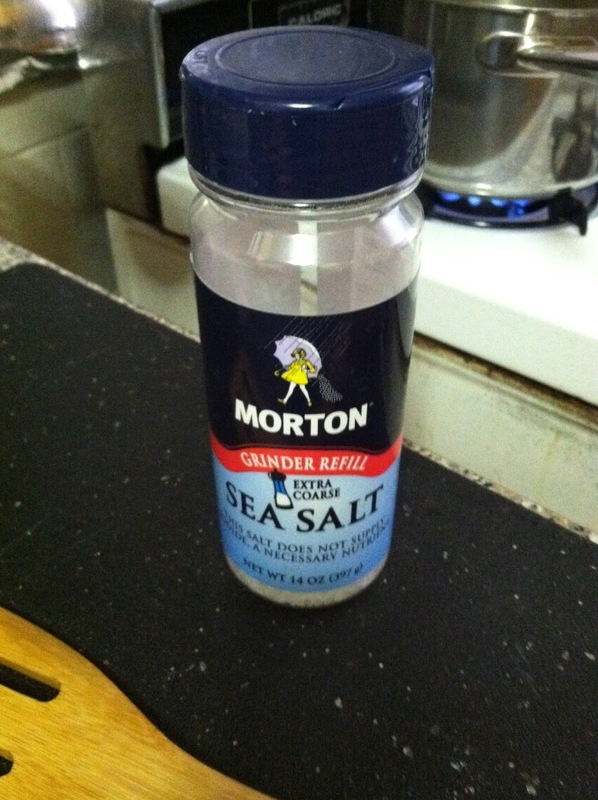 I started with some good ole' sea salt and a pot of water. 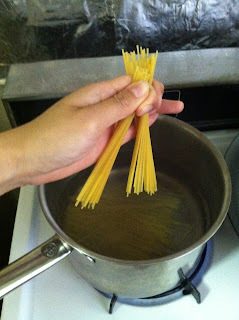 Sea salt is great for boiling pasta because it's stronger tasting than normal salt, and gives the pasta more chew. Unfortunately, while getting out my pasta pot I chipped a piece of glass from the plant sitting by the kitchen counter, and kind of caused a mini-accident in the kitchen. But I was not going to be stopped by chipped glass. 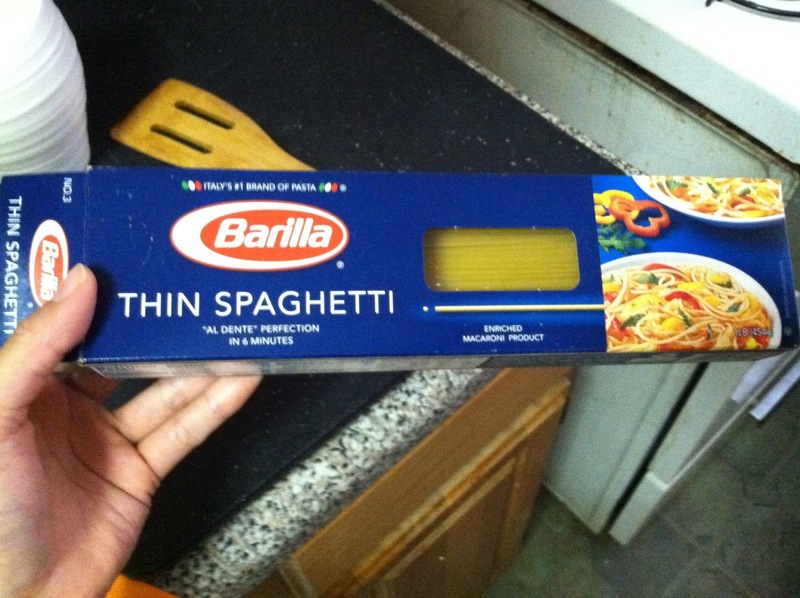 I have a thin for spaghetti and angel hair. 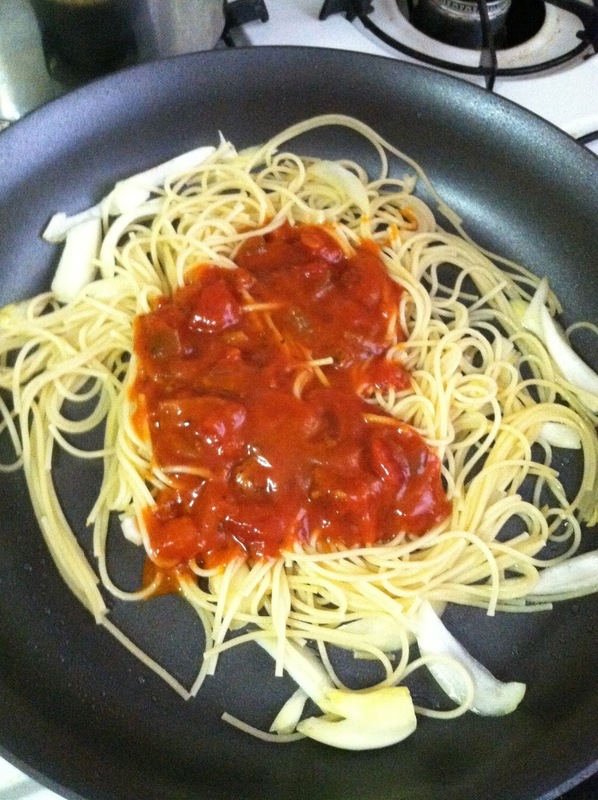 We always use Barilla thin spaghetti for saucy pastas, because the taste is always al dente no matter how much you boil it. When the water is boiled, simply drop it into the pot. It's great tasting no matter how much salt you put in, but generally speaking a dash is enough. I always have trouble measuring exactly how much pasta I need. 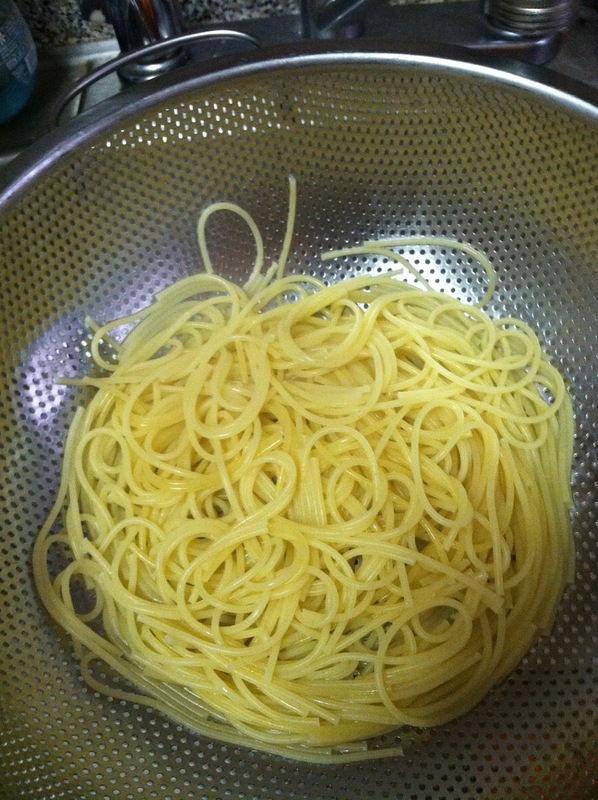 I tend to cook too much of pasta every time I make it, so this time I decided not to drop in the entire box (there wasn't much left anyway). After the pasta is boiled, drain it and rinse with cold water. 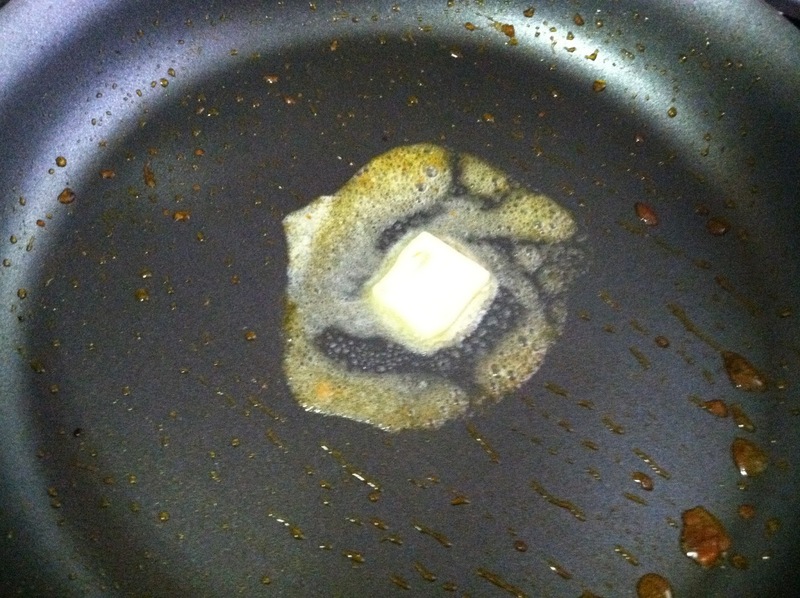 This will help retain the color and texture in the cooking process that ensue. For this sauce, I decided to go with some regular pasta sauce, some Chinese noodle sauce and the juice from the Japanese pickles I had. Yes, I know that sounds absolutely, horribly disgusting. But trust me, it works (especially the pickle juice!). So first, fry up some onion pieces into an oiled or buttered pan, until the onion is caramelized. 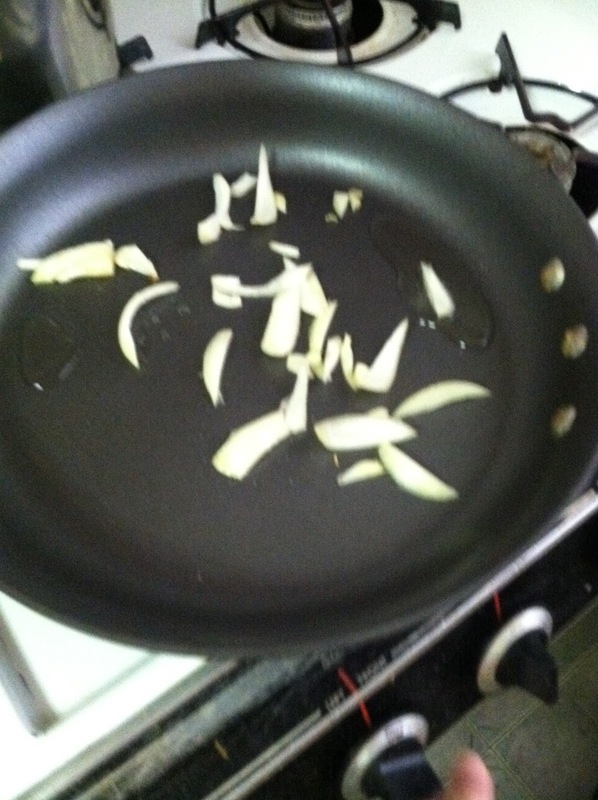 I would have added some garlic except it was kind of rotten after being left on the counter for half a year. Then drop in the pasta and dump in some of lovely red sauce. For those of you not familiar with my cooking style, this is Italian cooking done up in a Chinese style, which means 1. Not following instructions, and 2. Measuring things by eyes only. 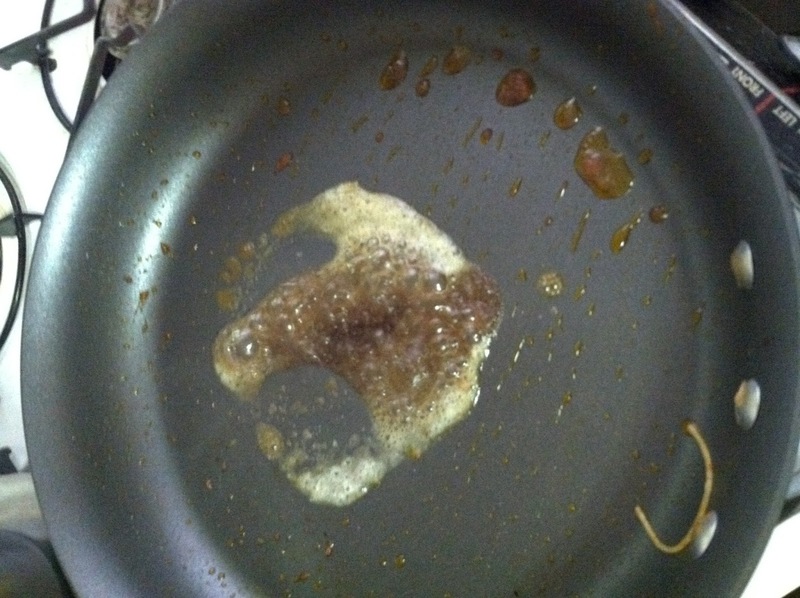 Then I put in about two tablespoons of the Chinese noodle sauce, and gave that blob a good mix. Oh yes, let's not forget the pickle juice. 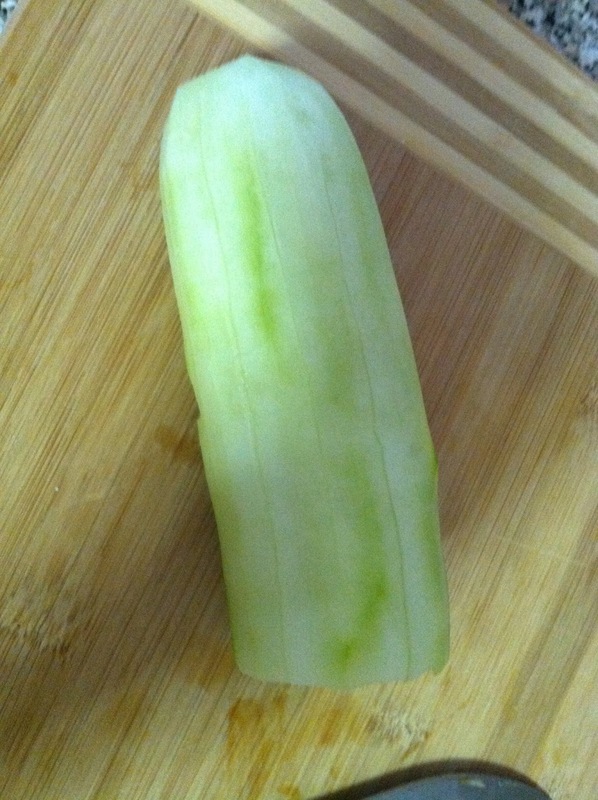 About now is a great time to drop in that magical pickle juice. Oh yea. 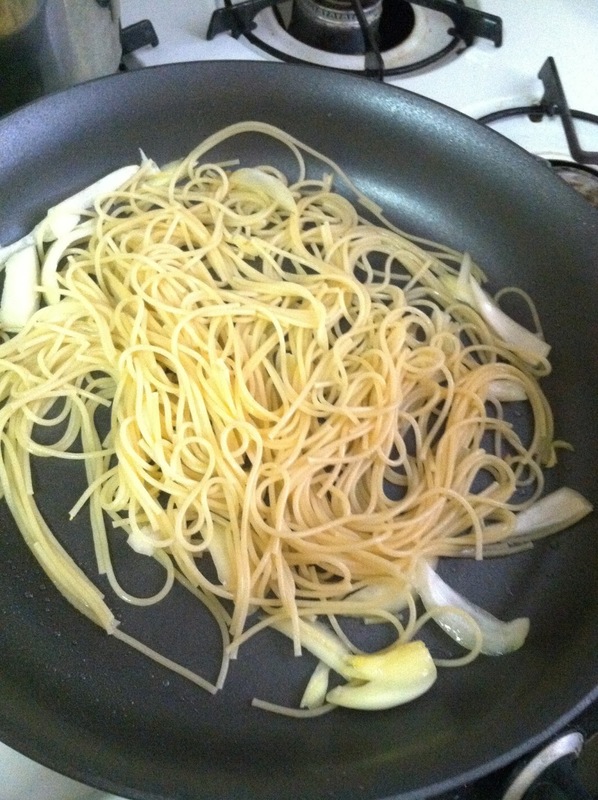 Look at that beautiful tangle of sauce + noodles + onions. 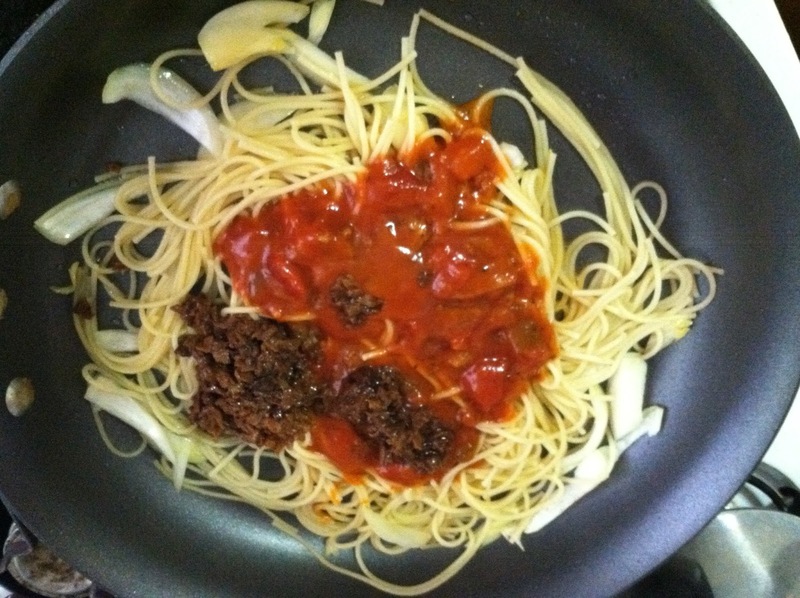 Trust me, it tastes just like it looks (I hope that looks delicious to you =). On that particular day, I decided to go all out. 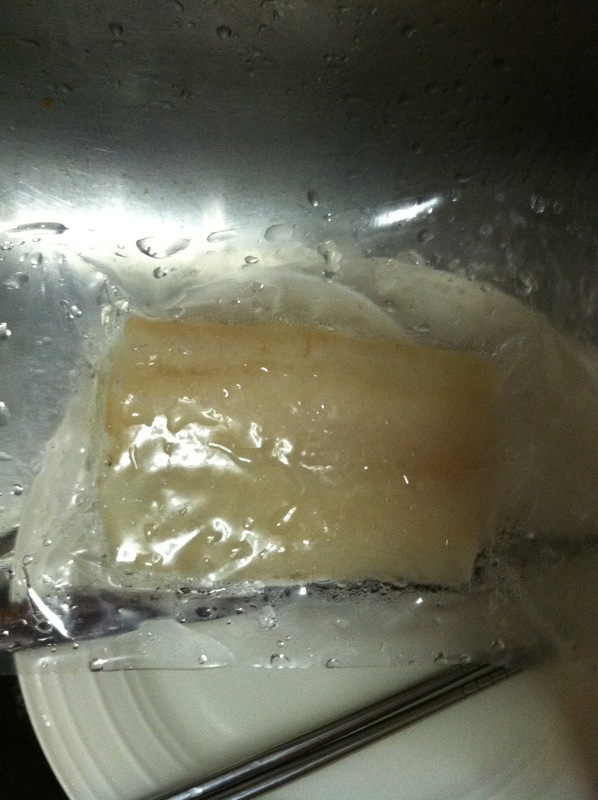 Since we're having pasta anyway, why not cook some pollock? 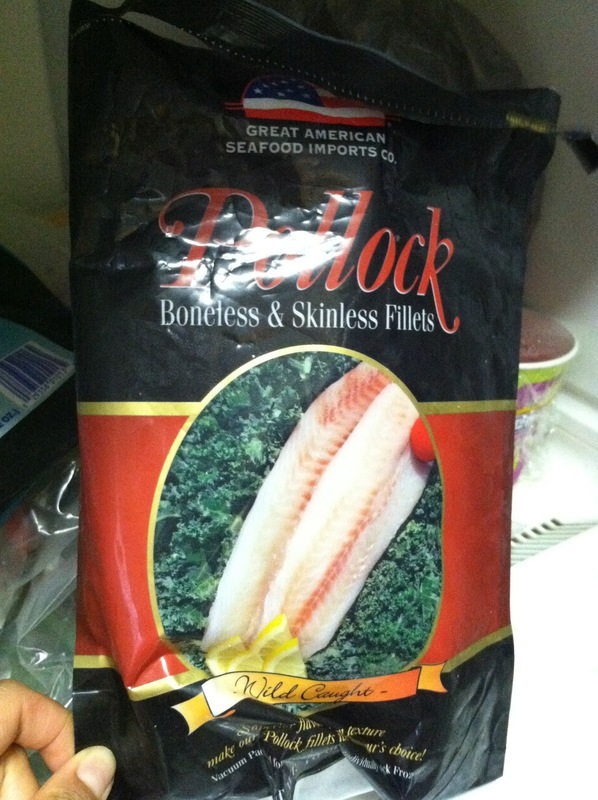 I searched for some pollock recipes, but found none that caught my eye. So I decided to experiment a little (I know, that's usually a hit-or-miss when I experiment with things). I thawed the pollock and heated a pan with a bit of butter. 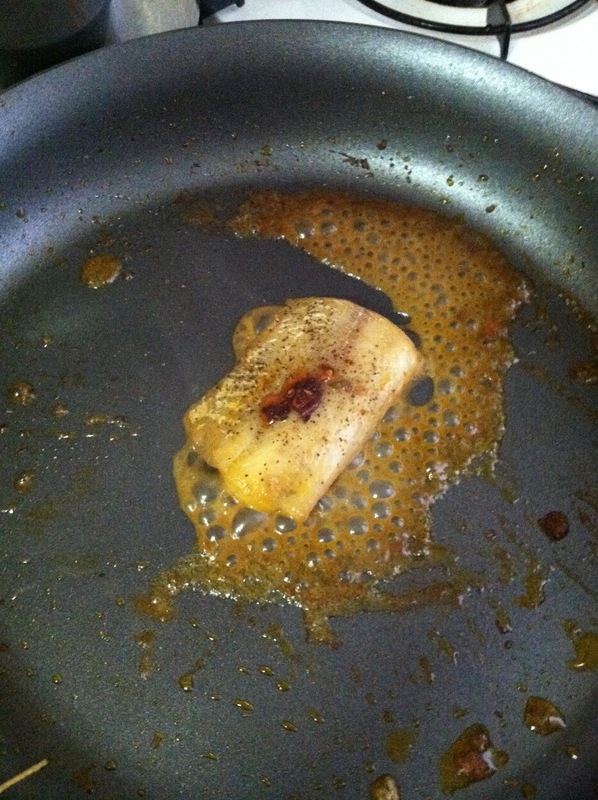 Then dropped in some soy sauce and a dash of sugar. 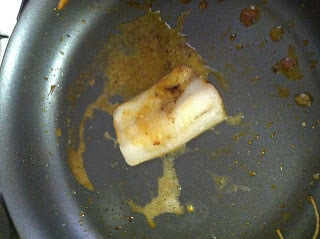 Basically, I pan-fried the pollock without marinating it first. But I put in some hot sauce with the soy sauce to spice things up. It sizzled a lot when it was being fried, which didn't sound all that great and actually didn't look that hot either. 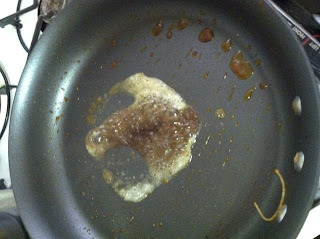 Nonetheless, I decided to carry out an entire experiment (at all costs). I had some cucumbers and chayote (below) lying around, so I decided to use it all up before they mold in the fridge. For some reason, things in my fridge tend to mold pretty easily. Probably bad air circulation. 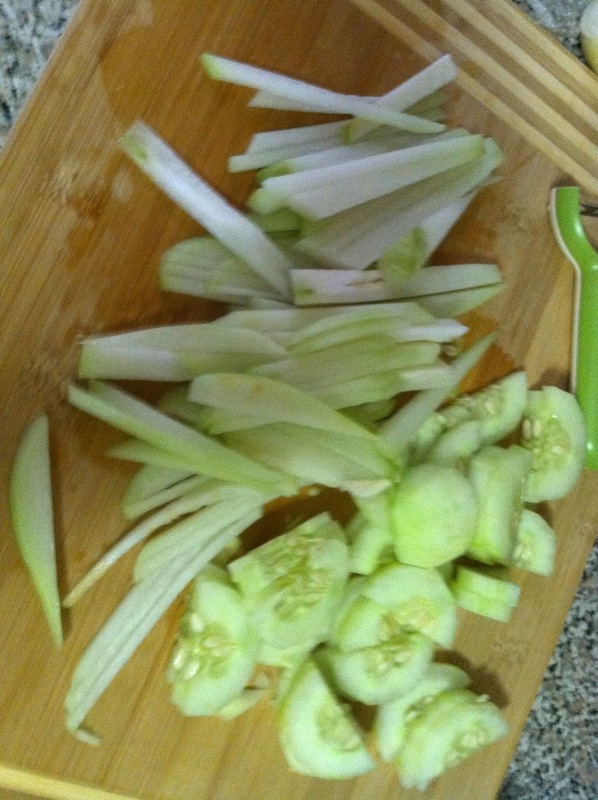 So I chopped the cucumbers into half rounds and the chayote into thin strips. Then pan-fried it with a dash of vinegar and some stir-fry sauce. 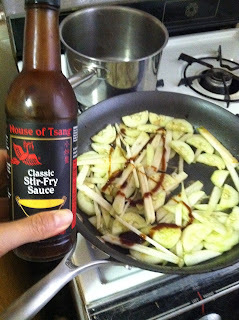 Here's that handy stir-fry sauce that we always have in the fridge (courtesy of House of Tsang, which has great sauces for any occasion). 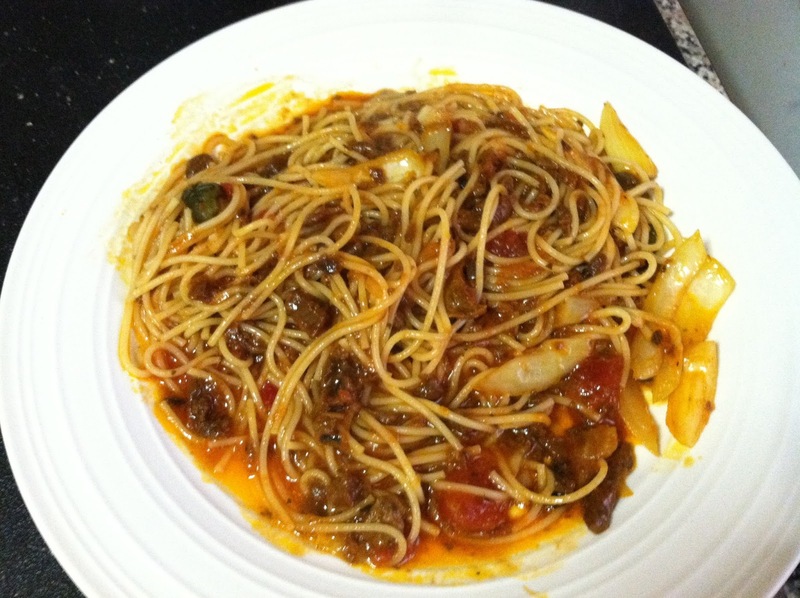 The pasta tasted absolutely, positive delicious. And Hubby agrees too. That's something he doesn't agree with, so to get his approval was pretty satisfying. 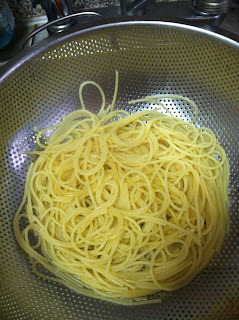 We literally slurped every last noodle off the plate. 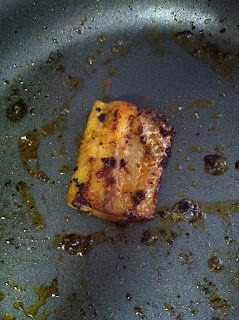 The fish was surprisingly tasty. By panfrying it in butter and soy sauce the pollock naturally soaked up all the flavor, making it delightfully salty (in a good way). 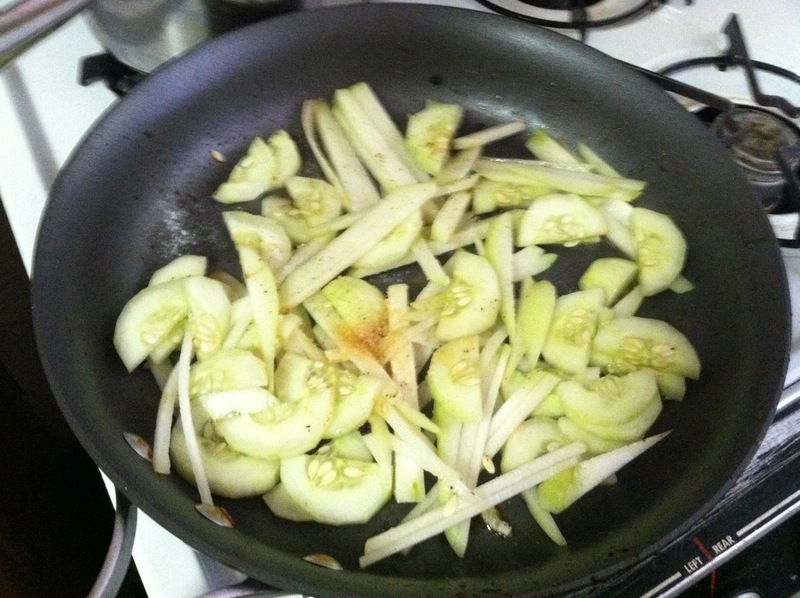 The cucumber and chayote combination was a crunchy, sour veggie retreat. 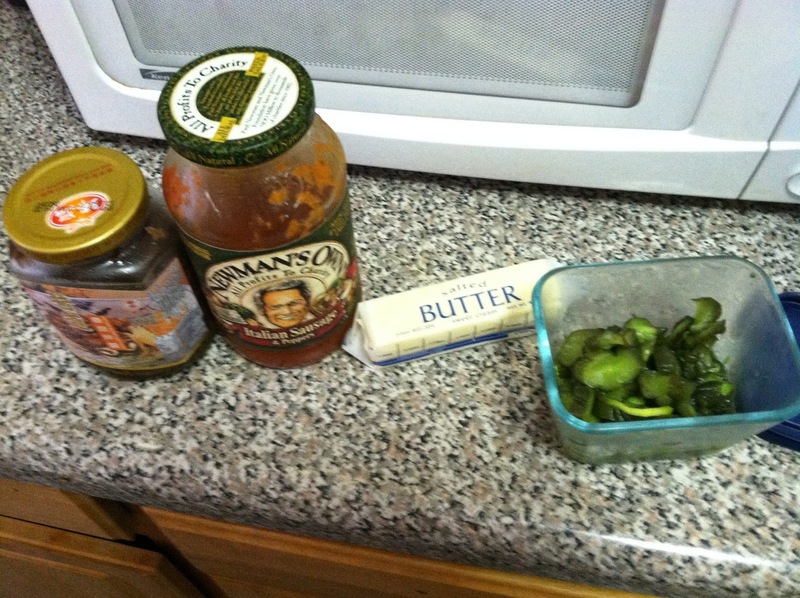 Hubby didn't really like it all that much, but I thought it was pretty refreshing. So would Porsena offer me a gig cooking up my Chinese pasta? Probably shouldn't quit my day job with just that prospect.